When I heard that the actor who played Gilbert Blythe had died, I was sorry, of course. I heard it from a lady at church, who has loved the Anne movies a long time. Then I talked to my friends, who really do care. I read their blog posts and a bunch of articles and a Buzzfeed tribute. Then I explained about Crombie’s loss to Meg, who at the ripe old age of five has never heard of Anne or Gilbert (ack! ), and now I’m crying. I’m marveling that everybody has a story about how that Gilbert, Crombie’s Gilbert, touched their lives. They grieve him. He was everyone’s first movie crush – “so normal but so sweet,” as my sister put it, and his death was “like hearing of a long-lost childhood friend who had passed.” Another friend got rid of all her male paper dolls after her parents’ real-life divorce – all except the Gilbert one. 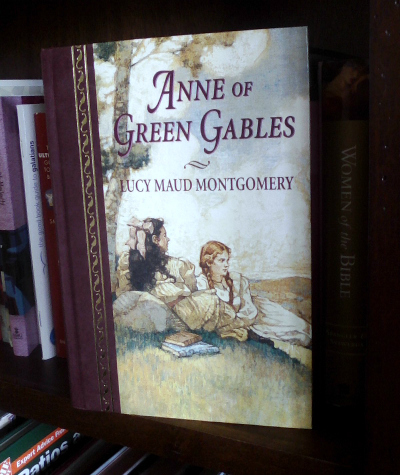 I knew and loved the Anne books, myself. The movies, honestly, not so much. Crombie did a good job, a very good job, and Gilbert is bigger than just the movie version. I think Gilbert Blythe fills a much-needed hole in our cultural vocabulary, the space labeled “a good man.” I mean, Flannery O’Connor actually wrote a short story about how hard it is to find one, which tells you something about the size of the hole. The only other literary man I can think of like him, so well-suited to the heroine, is Mr. Darcy, who was rich. Let’s face it: single men with a large fortune are hard to find. The boy down the street, on the other hand, who has to put himself through school, that’s more plausible. Gilbert was funny and fun to be around. He was utterly human – sometime his comments went legendarily wrong. 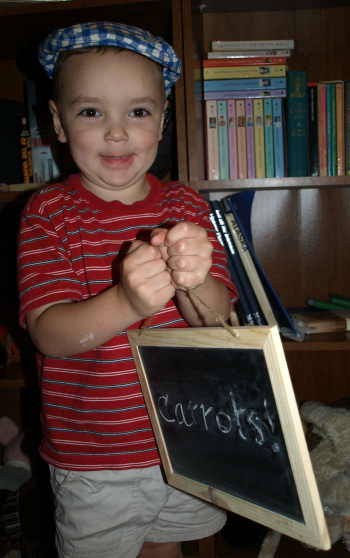 (Carrots!) He came from a small town, worked hard at school, worked hard at his job, went to college. He made friends and forgave them. As an adult, he was a good doctor and took care of people. Gilbert was kind. Gilbert’s greatest achievement was the way he loved Anne. Anne was not, actually, easy to love. 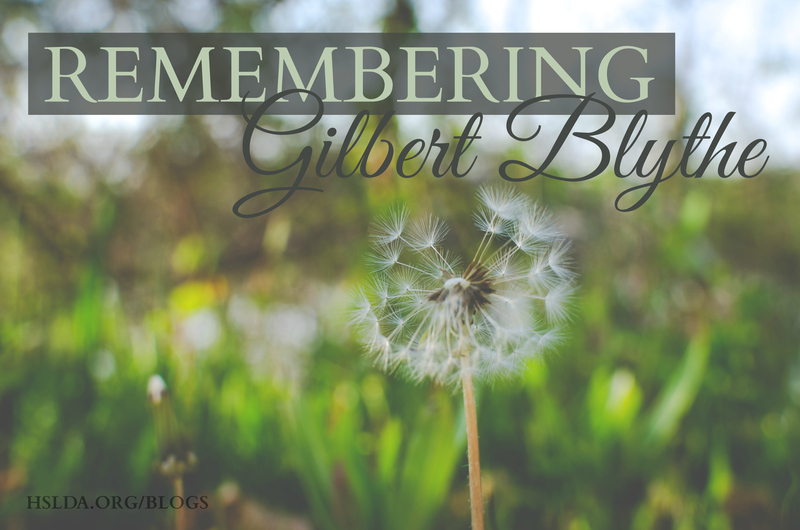 She’d had a heartbreakingly miserable childhood, but Gilbert loved her. He loved her from the very beginning, through assault with a writing slate, epic mishaps, and even in despite of that nonsense with what’s-his-name on Anne’s part and Christine on Gilbert’s. He loved her through a long separated engagement, through marriage, through miscarriage, through raising children. Gilbert was a good friend to Anne, too. He didn’t show up with roses and jewels all the time. Most of my friends point out he and Anne didn’t have a relationship defined by fireworks. They got to where they couldn’t live without each other. I never really thought about it before, but I kind of did marry my Gilbert Blythe. Jonathan is funny and smart and he loves me. He’s got a great smile and he works hard. He was my friend and book discussion buddy long before my lover; and I can honestly say that married life together is quite delightful. Anne and Gilbert’s experience in House of Dreams and Ingleside is, well, if not normative, at least something that I remembered as I set up housekeeping in my own first place and started raising the little ones. I too have really wished for a Susan at the helm! Meg and I have been rearranging our household books, giving some away as not worth storing until she’s in college, and moving the ancient history books to the schoolroom. For our next step, we’re moving a big shelf into her room and I’m going to load it up with the children’s chapter books she’s almost ready for. When I do, I’m going to give her Anne and Gilbert. Photo Credit: First photo taken by Khürt Williams, graphic design by Charity Klicka; second and third photos taken by Carolyn Bales, edited by Charity Klicka.